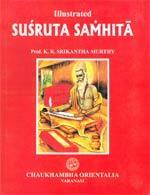 The classic Ayurvedic text, by Vagbhata, an ancient Indian scholar, that describes in detail the perspectives of Caraka and Sushruta. This is an ancient Ayurvedic treatise on disease diagnosis. This is a treatise on diseases, their diagnoses, and their methods of treatment. Superb technique in Astrology. ..